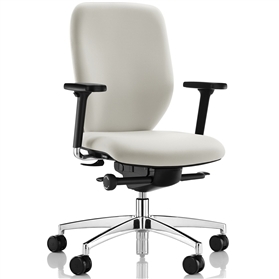 The Boss Design Lily cantilever meeting chair is available with or without arms. The stylish chrome frame is standard. Choose from standard Phoenix or Xtreme Recycled Polyester fabric, Oxygen 90% Wool Premium fabric or High Quality Shelly Leather. The chairs stack 4 high. 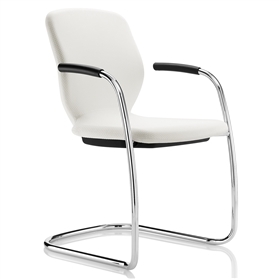 The Lily Cantilever chair is accredited to BS EN 13761:2002.